The two largest theme park companies in America are involved in a sort of arms race, and the weapons they are developing to deploy on the entertainment front lines all have a specific goal in mind: immersion. Sure, Disney and Universal occasionally issue small armaments in the form of a single-shot new show or standalone attraction, but the major R&D is being focused towards world building on a nuclear scale. Each new major project promises increased immersion such as the public has never seen before. This makes sense, of course. The idea of placing customers inside exotic locations or fantasy settings is what separates a theme park from an amusement park. It’s a balance, though. While some avid fans may want immersion so intense that they can convince themselves they are truly a character in a storybook adventure, many guests prefer to relax, enjoy a corn dog, and stroll through these wonderful worlds as a casual observer. The scale seems to be tipping towards fan service. Universal’s Wizarding World of Harry Potter raised the bar on how detailed and interactive an IP-based theme park land could be with brilliant line-of-sight immersion, employees well-schooled in the finer points of J.K. Rowling’s world, and storytelling merchandise elements in the form of magic wands that let guests take part in their own tale from the point of purchase to actually using the prop at interactive areas of the land for simulated magical effects. This story infusion even seeped so deep as the beverage options, with numerous in-canon drinks like Butterbeer for young witches and wizards and story-appropriate craft brews for the spellcasters of age. Rowling had to personally sign off on the elements to the land, meaning that the experience guests have will never contradict the world she has created. Disney’s riposte came in the form of Pandora – The World of an Intellectual Property Mostly Forgotten. While not nearly as beloved and profitable an IP as Rowling’s novels, Disney’s handling of the Avatar “franchise” plays to their favor when demonstrating the company’s immersive potential. You see, Avatar is barely what we’d consider a real franchise yet, just a standalone feature. James Cameron initially announced follow-up films to his financially successful CGI fest in 2010, with the first scheduled release by 2014; Disney began development on Animal Kingdom’s Pandora land in 2011 and debuted the park in 2017. If Cameron’s initial timeline had not been consistently pushed back due to the development of new technology, Disney would have opened the land when Avatar would have been front and center in the public eye. Instead, Pandora – The World of Avatar opened to guests at a time when most of them had lost their awe for the 2009 film or never saw it in the first place. Yet, with the help of intense devotion to story and detail as well as an award-winning attraction critically acclaimed for its immersion, Pandora proved to be a huge success with fans. Disney added elements unique to Avatar’s story and aesthetic — everything from floating mountains and bioluminescent plants to barrel-shaped rust stains on the concrete — while borrowing certain elements from what worked in the Wizarding World. 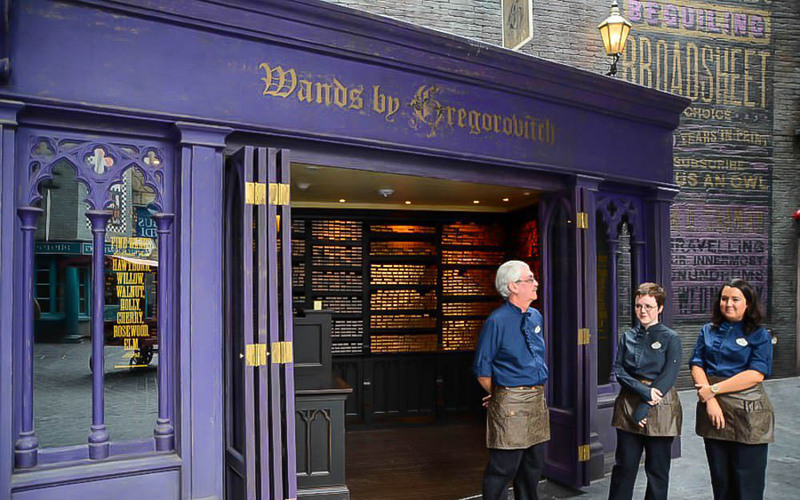 While there may be no interactive wands, Disney created a merchandise area where guests could choose and bond with a lifelike Banshee puppet, adding a story to the goods and services exchange. The question is, if Disney could pull off such a successful feat with an intellectual property so out of sight and mind, what will they accomplish with one at the forefront of modern pop culture? Star Wars: Galaxy’s Edge is set to debut at the Disneyland Resort on May 31st of this year, with Walt Disney World’s version opening in Hollywood Studios on August 29th. There has never been a theme park experience geared at such a devoted fan base, and Star Wars fans are perhaps the most renowned for vocal criticism of the franchise they hold so personally dear. 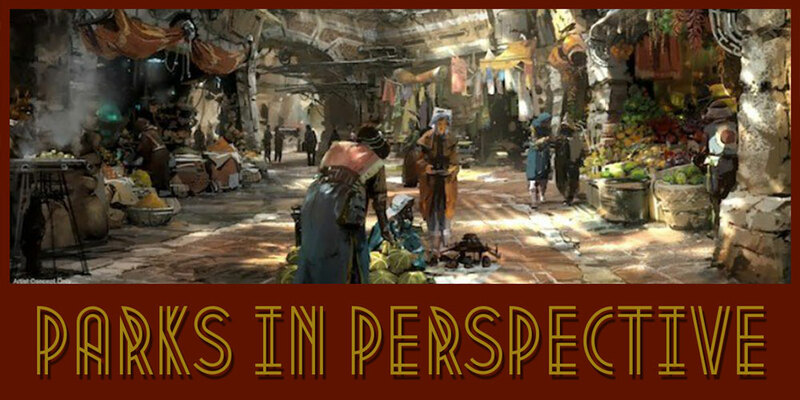 While much of this notoriety is unfair — toxic fandom is a statistical minority among fans, but the most toxic tend to make the most internet noise — it is clear that every square inch of Galaxy’s Edge will be mapped and surveyed for story accuracy. With such exacting standards to strive for, Disney appears to be approaching the situation locked and loaded with immersive Star Wars experiences. The company has already released a detailed plot and backstory for its Galaxy Far, Far Away setting, and the planet Batuu and its Black Spire outpost will continue to be fleshed out in a Galaxy’s Edge companion comic debuting soon. Food and beverage options are themed to the setting and cast member costumes will remind guests that although they may just be getting directions to the restroom, those directions are coming from the mouth of a citizen of the Star Wars universe. Once again, we see story elements added to merchandise in a way that all but guarantees a sizable profit. Star Wars fans young and old have dreamed of taking part in the right of passage undergone by every Jedi in film, TV, and literature lore: building their own lightsaber. 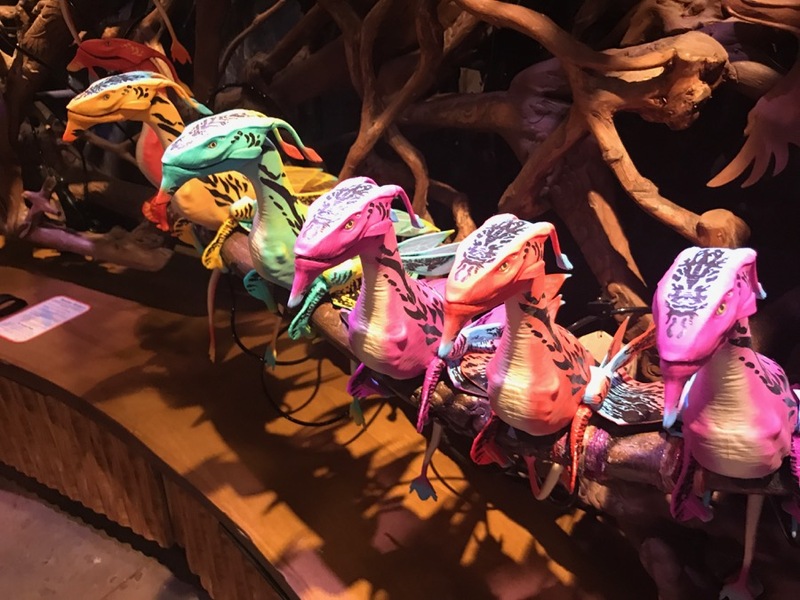 While the price of this experience is currently unknown, the franchise has such a devoted following that it is hard to conceive that there won’t be a significant market for this merchandise experience, possible up-sales and all. 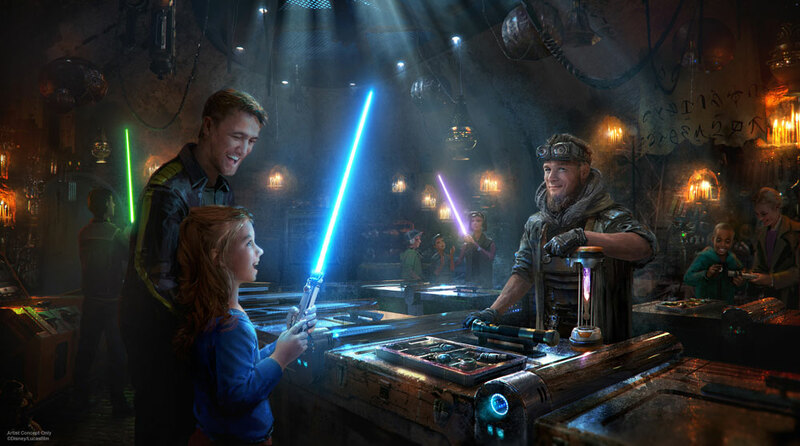 Disney continues to boast of the immersion of its Galaxy’s Edge attractions – Millennium Falcon: Smugglers run will open with the land, Star Wars: Rise of the Resistance will debut later – with Smugglers Run adding interactive elements where guests’ decisions decide how the story plays out. What may be the most innovative new weapon in Disney’s arsenal is the upcoming Star Wars hotel set to be “seamlessly connected” to Galaxy’s Edge. From the moment they set foot in the resort, guests will be able to take part in a running storyline and are encouraged to dress the part (although we don’t yet know what those cosplay guidelines will entail). It is this added storytelling element that I foresee as being the most important development in the immersion arms race. While technology will continue to advance, and new visually immersive opportunities will present themselves in continuously evolving forms, the story is where theme parks stop dazzling guests with entertaining displays and catch them where it really matters — in the heart. I don’t use those words to be sentimental. All of the intellectual property that Disney and Universal have developed, purchased, and profit from in any way involve an emotional component that only comes with a well-written story. That is why folks lost their minds over the prospect of a Wizarding World or Star Wars land, but were somewhat less excited about an Avatar area. It wasn’t just timing; people were never too invested in the story. 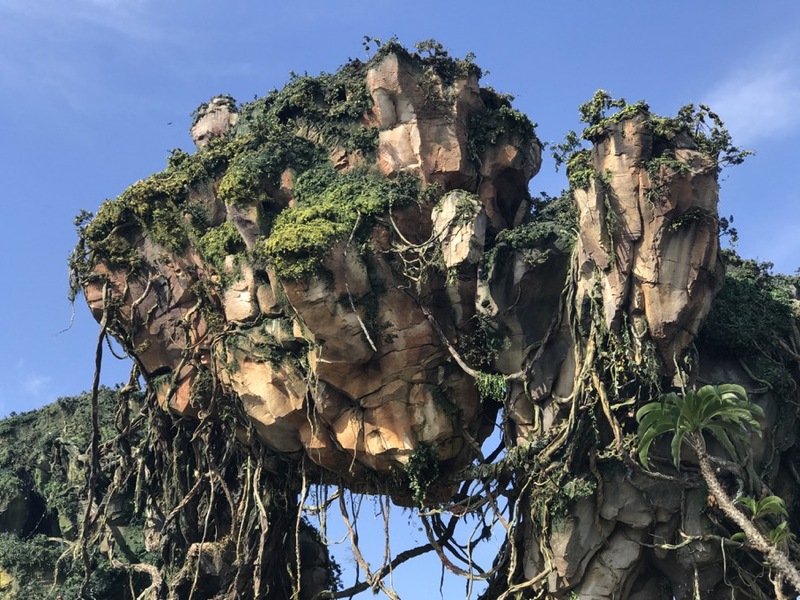 That may change when our great-grandchildren are explaining the dynamic characters of Avatar 2 to us, but up until now, no one has planned their vacations around Pandora to the same extent that they have with other IP-based lands. Oddly enough, the next step in immersion, one with a possibility for truly long-term payoffs, can already be found in its infancy in a theme park not owned by the two entertainment super powers: Knott’s Berry Farm. Sometimes the universe provides the context we need exactly when we need it. As I was gathering my thoughts for this article, I happened to be blessed with the opportunity to visit the California park’s Boysenberry Festival. It was my first time at Knott’s, and I found their Ghost Town area to be incredibly charming and surprisingly immersive. Not having Walt Disney Company billions actually plays to their favor, as the quaint old-west mining town charm felt more honest in its humility than Disney’s Main Street, U.S.A. and the smaller size gave it an enveloping homeyness. It was while I was remarking on the fun and enjoyable feeling that Ghost Town conveys that I was let it on a special event that I was not aware existed. 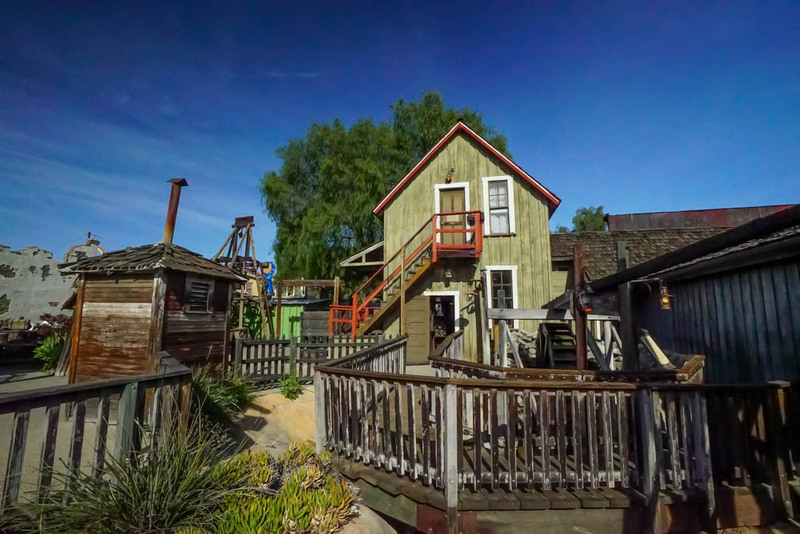 On select days from May 24th through September 2nd, Ghost Town Alive comes to Knott’s Berry Park. While I have yet to experience it myself, many local characters informed me that guests who attend get to see a unique storyline play out with a slew of extra “citizens of Calico” interacting with visitors and helping them take part in the brand new developing story. It turns out, Knott’s and I were on the same page, yet my idea came from somewhere far nerdier (as most of my ideas tend to). Back in college, and for quite a few years after, my brother and I shared an apartment. While I never got a degree, I did get some prime video game brother bonding out of it — so, money well spent I guess. For quite a while, we both were really into a game that I doubt anyone reading this remembers called Asheron’s Call, one of those massive multiplayer online roleplaying games. Along with the aesthetics and unique fantasy world building, there was a very specific reason this game hooked us. Asheron’s Call used to host live “world events.” Basically, the storyline of the game would change from month to month, and to figure out what was going on in the world you’d have to talk to characters or go on quests. This made us feel like we were part of an active story unfolding before our eyes. I remember logging in only to see that the sky was entirely purple, with no immediate context. Why is the sky purple today? Dunno, gotta find out? Probably something evil causing it that we’ll all have to band together to defeat. So let’s take this idea of timely events and add some Disney and Universal funding to it. What would that look like, and where could it lead for the future of theme park immersion? After overhearing some streetmosphere gossip, I start asking around. Each cast member I approach, regardless of their actual job function — from attractions to food & beverage and beyond — will have a few rehearsed tidbits of information relevant to the story to pass on. As the day progresses, so does the feeling of tension in the park. Stormtroopers begin to patrol in larger groups, questioning folks about their knowledge of the force and opinions of the Jedi ways. A few guests (with their consent and approval) are removed from the crowds in a public display for showing signs of the Force. Finally, at a scheduled stage show, this standalone plot unfolds before the eyes of an audience who have been anticipating this all day. The guests previously “captured” have been prepped to play roles in the show, later to be featured in that night’s parade as conquering heroes and the next generation of Jedi. Now, imagine this event playing out the same way six months later, but with a completely different Lucasfilm-approved storyline. Theme park enthusiasts would plan vacation after vacation around the same area of a park, just to experience each storyline. Custom merchandise for these “world events” would be ridiculously profitable, as their limited availability and exclusivity would be perfectly justified. Disney and Universal could ramp up guest immersion to the next level without the addition of any groundbreaking new tech, just the careful use of a clever story and cast member training. Storytelling is absolutely the most important skill theme parks rely on. Architecture, attractions, food, and merchandise mean absolutely nothing if there isn’t a timeless tale to support them. Those awe-inspiring aspects are meant to serve the story, not replace it. As the giants of the industry absorb more and more intellectual property, they are simply accumulating raw material. Iron makes for a brittle sword; you need to add some carbon, heat, and hammer blows to make a steel blade that holds up. It takes careful crafting. In Harry Potter, Star Wars, Nintendo, or anything else we may see down the line, Disney and Universal can just throw the raw materials of storytelling out there in a pretty package, but if they want something with flexibility and staying power than they need to craft that metaphorical iron. They can make a product that doesn’t rust with age, that bends but doesn’t break, that stays relevant throughout the years. They need to take the stories, characters, and worlds they have, and hammer them into new shapes and forms that guests never get tired of. I can’t say if these events will ever be implemented, or if so, on what scale. Storytelling comes in many forms; rides, food, and merchandise can all be part of that. If these companies really want to hook guests by the heart, wring their emotions and get them coming back to spend more out of emotional investment or fear of missing out, then they need to make them feel like they are part of an ever-changing and evolving world. Nothing does that better than giving them the opportunity to take part in a personal story, unique to their vacation experience.